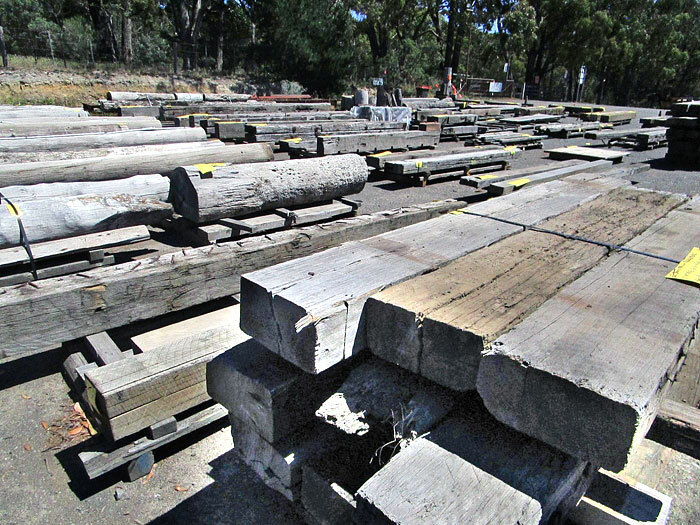 Public recycled timber sales at wholesale prices. Great value packs. Ready to load. Perfect for all kinds of DIY projects. 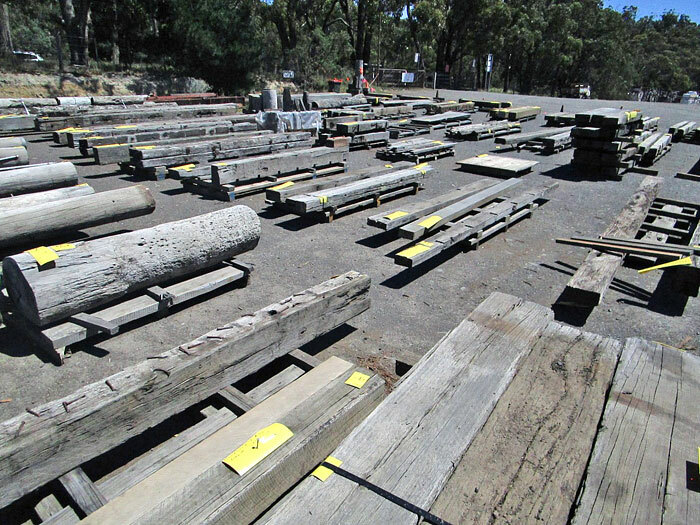 Recycled Timber Discounters is a clearance yard beside Timbersearch at the old Woodend sawmill. View over 100 lots of new and recycled timbers in quick load packs. Industrial beams. Garden features. Furniture timbers. 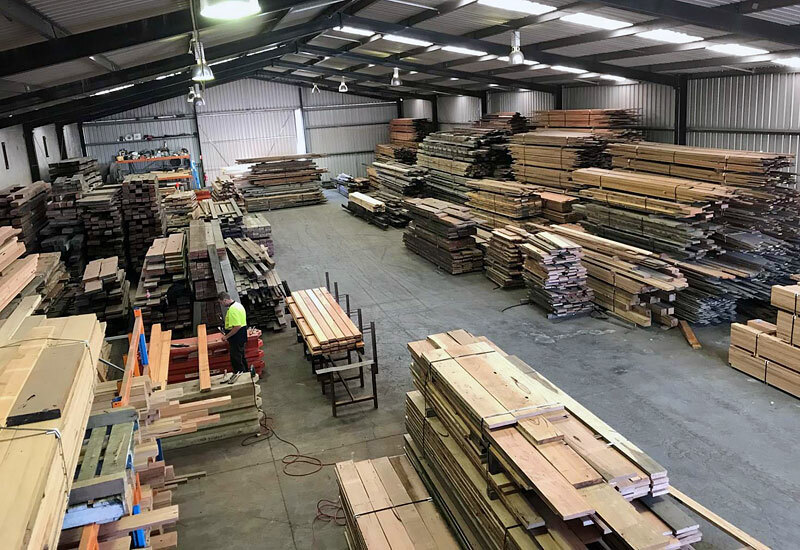 Whatever you’re looking for, a visit to both Woodend yards gives you plenty of options. 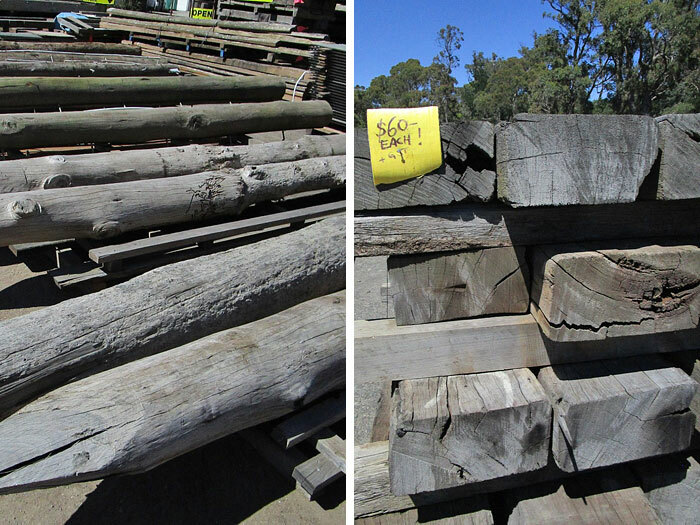 Most timbers are salvaged from commercial demolitions and offer good reclaimed featuring. Packs include old jetty poles, wharf treads, building purlins and heritage hardwoods. Species include iron bark, tallowwood, blackbutt, spotted gum, oregon and new cypress. The yard restocks weekly so drop in regularly to see what’s new. 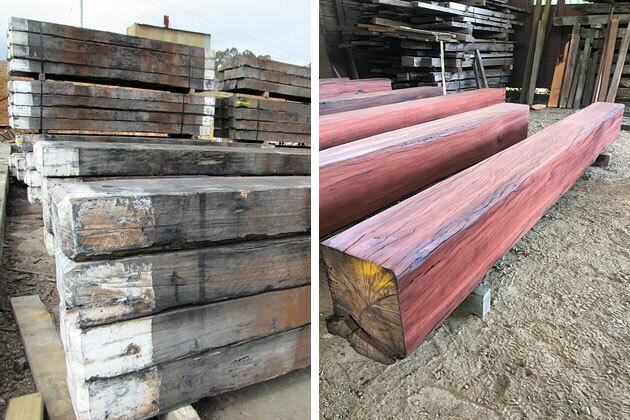 Recycled timber is highly versatile. Leave surfaces grey and weathered for a rustic look. Sand back to rich colour. Or wire brush for something in between. Talk to the guys about the finish you need. 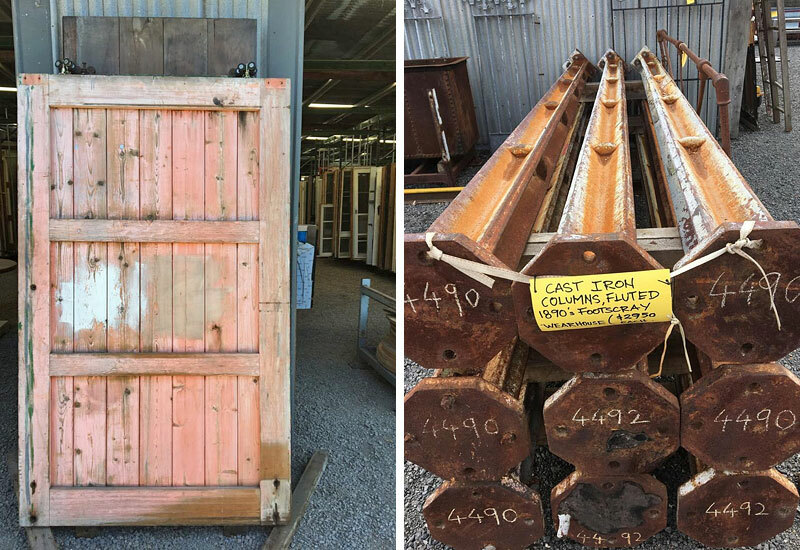 The team at Recycled Timber Discounters has decades of timber knowledge and can help professionals and DIYers find suitable materials. Lots are spaced for easy viewing and can be lifted straight into your ute or trailer. Or crane truck delivery can be organised for larger posts. 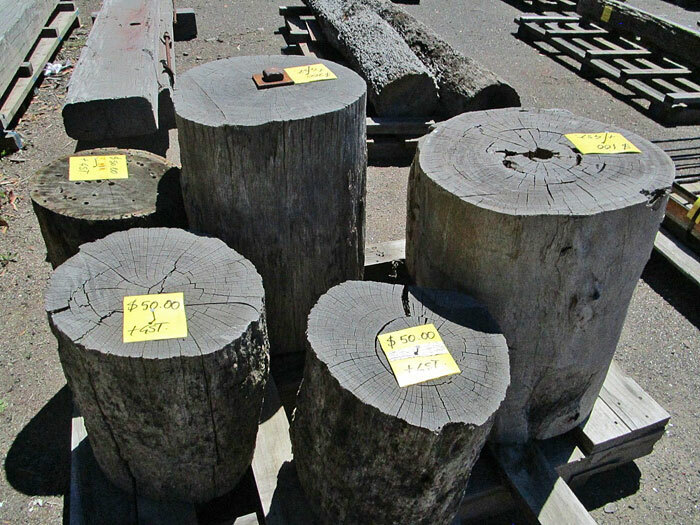 Remnant lots are a great way to pick up character timbers for a reasonable price. Think about timbers for landscaping, benches, retaining walls, cubby houses, fences, verandah posts, pergolas, mantels… there are hundreds of building projects waiting for your inspiration.